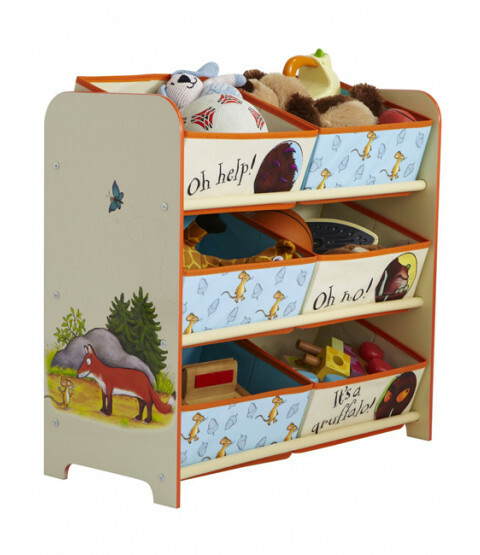 The Gruffalo 6 Bin Storage Unit is a great item to have in any bedroom or playroom. With 6 bins to organise and store everything there'll be no excuse to have a messy room any longer! Sturdy and great for any toys, clothes, shoes or books that may be lying around the bedroom, this unit will be sure to have your child tidying in no time!